The Trump regime and Beijing seem headed toward striking some form of accommodation on major economic, financial, and trade differences – at best a short-term fix. Structural issues are at the heart of them, not the large trade imbalance between both countries favoring China with a record $323 billion surplus in 2018. Offshoring US manufacturing and other jobs to China and other low-wage countries bear responsibility, corporate America to blame, not other nations. If wages in a country are raised, jobs may be lost to lower-wage nations. Multiply Wallach’s example over a thousand-fold. It adds up to millions of US jobs lost in recent decades, mostly post-January 1991 NAFTA. Major Sino/US differences are irreconcilable. They’re all about China’s growing political, economic, financial, and military clout – the trade deficit between both countries largely a distraction. 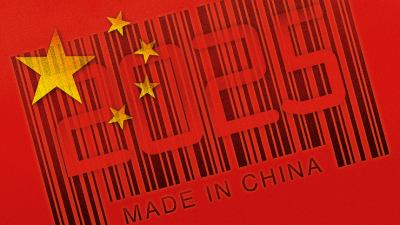 It’s about trying to undermine Beijing’s Made in China 2025 (MIC2025) strategy, the terminology omitted in Premier Li Keqiang’s March 5, 2019 address to the National People’s Congress, instead saying Beijing intends “work(ing) faster to make China strong in manufacturing” – notably its technologically advanced sectors. China aims to advance 10 economic sectors to world-class status, including information technology, high-end machinery and robotics, aerospace, marine equipment and ships, advanced rail transport, new-energy vehicles, electric power, agricultural machinery, new materials and biomedical products. Whatever accommodation is reached with the US, China’s aim to become an economic, industrial, and high-tech powerhouse remains unchanged. Trump regime criticism of Chinese support for its industries, including subsidies aiding their development, ignores the longstanding history of US government handouts – from the beginning of the republic to now. “They had no quarrel with ‘big government’ when it served their needs, (and it) started way back” in 1787 when the Constitution was drafted – the origin of US government handouts to business. “In the first sessions of the first Congress,” markets were manipulated with tariffs “to subsidize manufacturers.” Government partnered with private banks to establish a national one. These practices were commonplace from earlier through today. Only the amounts get bigger. The more concentrated business gets, the greater its appetite and more power it wants served by Washington. Countless examples explain how so-called US-style free-market capitalism works. The nation’s interstate highway system was built at the behest of the auto industry. WW I was the pretext for subsidizing US shipbuilding. The nation’s railroad infrastructure and aviation industry were government subsidized. The same goes for departments of the Treasury, Defense, Energy, Interior, Agriculture, Transportation, Health and Human Services, and others – established to serve monied interests, not the general welfare, along with business friendly legislation. The 1913 Federal Reserve Act was the mother of all federal handouts to business, giving Wall Street control over the nation’s money, the supreme power ability to print and control money, credit and debt. The federal income tax was enacted the same year to service the federal debt owed to bankers. Government handouts to business reflect the American way – socializing costs and privatizing profits, today more than ever. Trillions of federal dollars go for subsidies, other direct grants, tax breaks, reductions, deductions, exclusions, write-offs, exemptions, credits, loopholes, accelerated depreciation, shelters, and rebates even for profitable companies. The bigger and more powerful they are, the more they get – besides letting corporations headquarter operations abroad, at times to tax havens, minimizing or avoiding federal taxes. Lucrative government contracts are awarded to corporate favorites, including cost-plus and no-bid ones – with built-in incentives to game the system for maximum profits. Government-funded R & D for Big Pharma and other industries is longstanding US practice. Direct payments to business occur in other ways, including from cabinet departments. Whatever Beijing does to benefit home-grown businesses, the US does much more of. China should be criticizing US subsidizing practices, not the other way around. Beijing reportedly intends increasing its science and technology development budget by 13.4% this year. Instead of MIC2025 terminology, the phrase “smart plus” perhaps will define China’s aim to advance economically, industrially and technologically going forward. The language may change, not the nation’s longterm aim. How that affects Sino/US trade differences ahead remains to be seen.